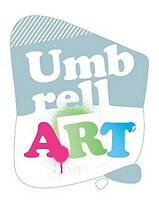 UmbrellART: URBAN CULTURE EVENT: SUCCESS! What a nice day in the centre of Amsterdam. It didn't actually rain; but it did rain umbrellas and art! Check also our pictures on Flickr and MySpace! Gepost door UmbrellART Let it Rain! op 10:34 a.m.
Great post as for me. It would be great to read something more about that topic. Thanks for posting that information.